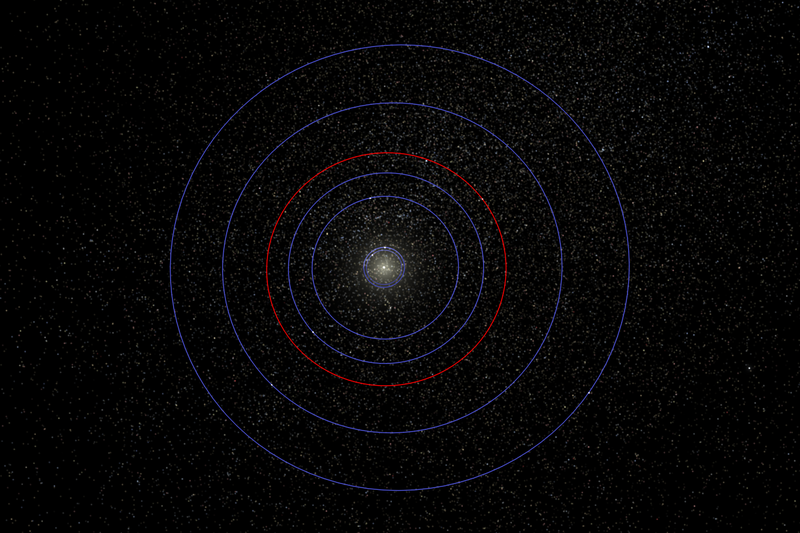 Ever since a mechanical failure caused the end of the original Kepler mission in 2013, the Kepler spacecraft has been conducting a survey of new stars, searching for planets across the ecliptic plane in its new K2 mission (https://blog.planethunters.org/2014/12/12/more-about-the-k2-campaign-0/). The K2 dataset is a goldmine of fascinating science results. One such result is the recent discovery of two new planets in the WASP-47 system. Until a few months ago, everyone knew that hot Jupiter planets don’t have “friends”, or nearby small planets in close orbits to the host star. These other planets had been searched for extensively, through radial velocity measurements, analysis of the transit times of the hot Jupiters, and even through transits by Kepler during its original mission. All of these searches turned up nothing. This all changed one day last July, when Hans Martin Schwengeler, a Planet Hunter who enjoys poring over Kepler and K2 data searching for new transiting planets by eye, came across the telltale signatures of two extra transiting planets in the hot Jupiter system WASP-47. WASP 47b was, by all indications, a perfectly normal hot Jupiter — in the discovery paper, Coel Hellier wrote “With an orbital period of 4.16 days, a mass of 1.14 Jupiter masses, and a radius of 1.15 Jupiter radii, WASP-47b is an entirely typical hot Jupiter”. The discovery of additional transiting planets dramatically changed the narrative. When Hans came across the planets, he posted them to the Planet Hunters forum, where he and other citizen scientists discuss their findings. Andrew Vanderburg came across the post suggesting that a known hot Jupiter had planetary companions. Using his K2 data reduction pipeline (https://blog.planethunters.org/2015/01/08/a-recipe-for-making-a-k2-light-curve/), he analyzed the light curve and confirmed Hans’s discovery – there were additional planets in the system, a super-Earth at a 0.8 day period and a Neptune at a 9 day period! Andrew emailed me, and at first I hardly believed that the lightcurve was real. How could a hot Jupiter have close-in planetary companions? I knew people had been looking for this type of companion for years via both photometry and transit timing variations, but the lack of discoveries indicated that they might not exist. I performed some numerical stability simulations (because it seemed at first like this system could not be dynamically stable!) and sure enough, the N-body simulations showed that the system was likely stable on timescales of 10 million years. At that point, we formed a team with Hans, Andrew, MIT Professor Saul Rappaport, University of Michigan Professor Fred Adams (my advisor! ), and me. Once this team was formed, we devoted ourselves to understanding as much about the systems as we could. Some work by Saul and Andrew confirmed that the planets were all orbiting the same star, Andrew fit the lightcurve to get the planet properties, and I ran more stability simulations. 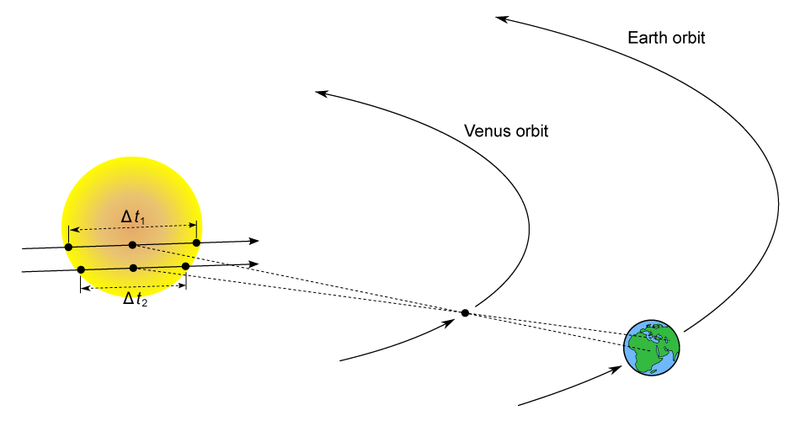 Soon enough, Fred suggested that I look at what transit timing variations (or TTVs, which happen when transits come late or early because of the gravity of other planets in the system) we would theoretically expect to see from the system – and I found that for the outer two planets, the TTVs should be observable. 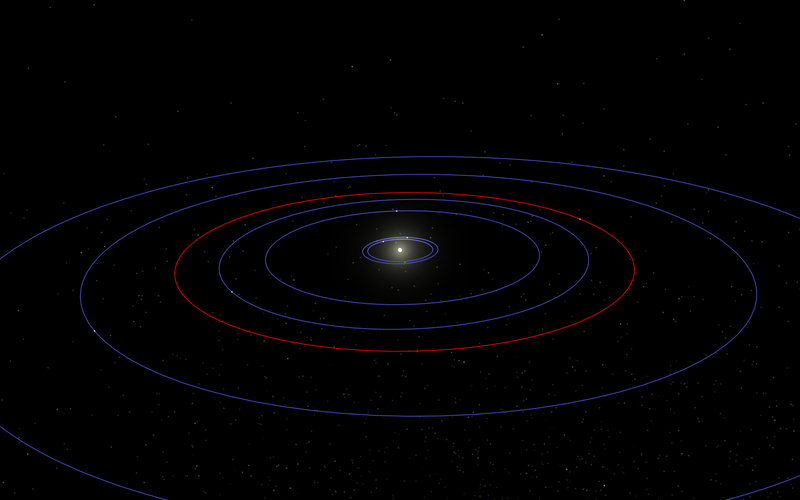 I then measured the TTVs from the lightcurve, and sure enough – there was something there. 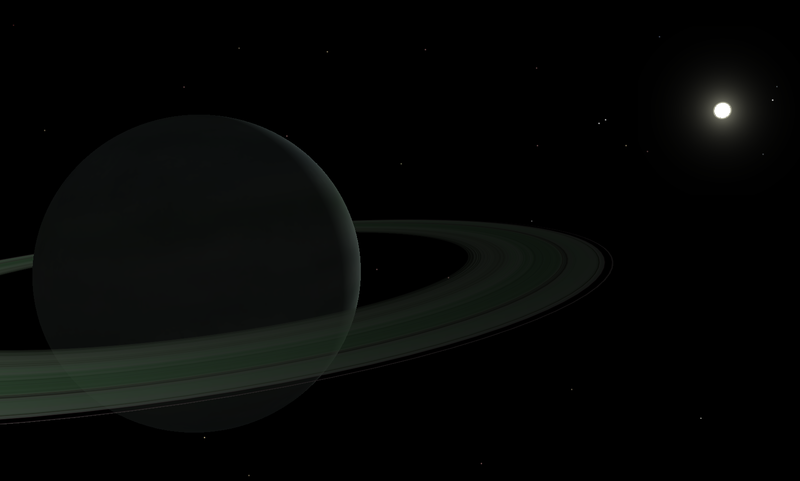 After some discussion, we realized we could measure the masses of the planets from those TTVs! Though I had never done dynamical fits before, I wrote the code to utilize Kat Deck’s TTVFAST code in a Markov Chain Monte Carlo fit. With some advice from Kat and help from Fred, I eventually got the fits working and we were able to measure or put limits on the masses of each planet. In a little less than two weeks, we had put together a paper deriving planet properties from the lightcurve, mass limits from the TTVs, and showing that you CAN detect companions to hot Jupiters using TTVs! This result is exciting because it is the very first time a hot Jupiter has been found to have such close-in other planets. Before this discovery, it was unclear if hot Jupiter could have nearby friends, as they might destabilize the friends’ orbits during migration. This discovery opens up new questions about how these systems form – it is possible that there is more than one migration mechanism for hot Jupiters. The paper on WASP-47 and its new companions, which was published earlier this week in ApJ Letters and is available at http://arxiv.org/abs/1508.02411, was a collaboration between myself (Juliette Becker, a graduate student at the University of Michigan), graduate student Andrew Vanderburg (Harvard CfA), Professor Fred Adams (the University of Michigan), Professor Saul Rappaport (MIT), and Hans Schwengeler (a citizen scientist). The eagle-eyed will have spotted that there’s a world in there familiar to Planet Hunters volunteers, as our slightly intrepid hero is whizzed past PH1. There’s another interesting link, I think, between the two projects; both planet hunters and the animation take us to the cutting (some would say bleeding edge) of science. Pretty much everything in the animation is open to question (and you can read more background over on the main Sparks site) – we have only weak evidence that there was a fifth giant planet in the Solar System, and many question the portrayal of the sudden bombardment of the Moon as shown here – it’s difficult to tell whether the evidence we have points to a true sudden bombardment or the mere end of a longer period of increased impact probability. On the broader questions too, there is disagreement – what sort of world would really be suitable for life? Do Earth-like planets such as the one we end up with really exist out there? (Probably – but we’re not sure yet). All of this is ok. My aim – our aim – was to present science with the ink still wet rather than wait for the final draft. After all, it’s most inspiring when we can still make discoveries, and hopefully the video will make people think – and maybe even make a few discoveries of their own on Planet Hunters. 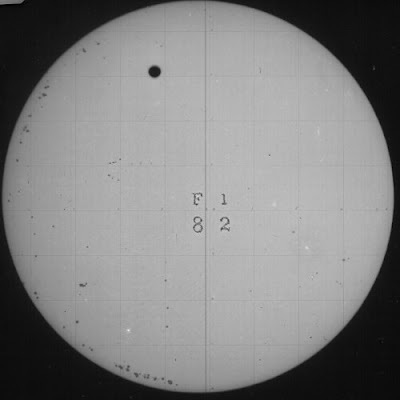 In June 2012 people all over the world will watch the planet Venus transit across the Sun. Planet Hunters is all about spotting planets as they move across the face of a star so we thought it would be good to share the event with everyone. Venus will pass directly between the Earth and Sun on the night of June 5th and the morning of June 6th. This historic event can be seen from many parts of the world and will not happen again for 105 years! As the map above shows, most people will only see part of the transit. With the help of the GLORIA team, we’ll be showing a live feed of the whole event on the Planet Hunters site. The webcast is being streamed from Tromsø, Sapporo and Cairns and will feature commentary in English and Spanish during the key parts of the event. 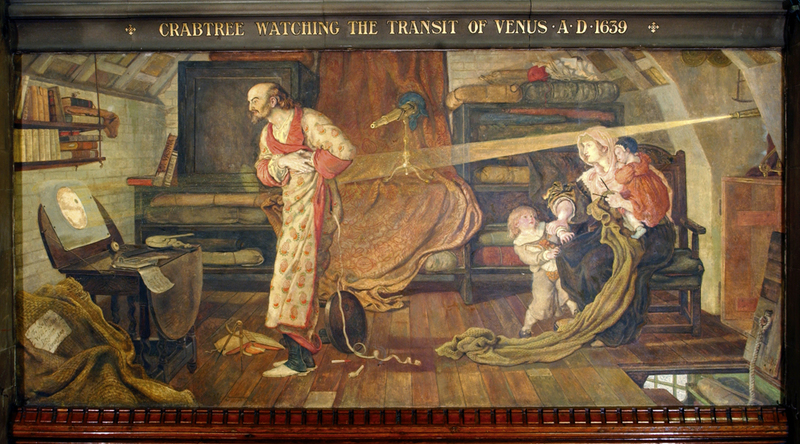 Check out our guide to the Transit of Venus, which we’ll update as we approach the event itself. It covers a basic history of the transits, and include information on when and where to see it. It also links to other useful resources for the event, including a Transit Guide from the GLORIA group, and the NASA observers handbook links. 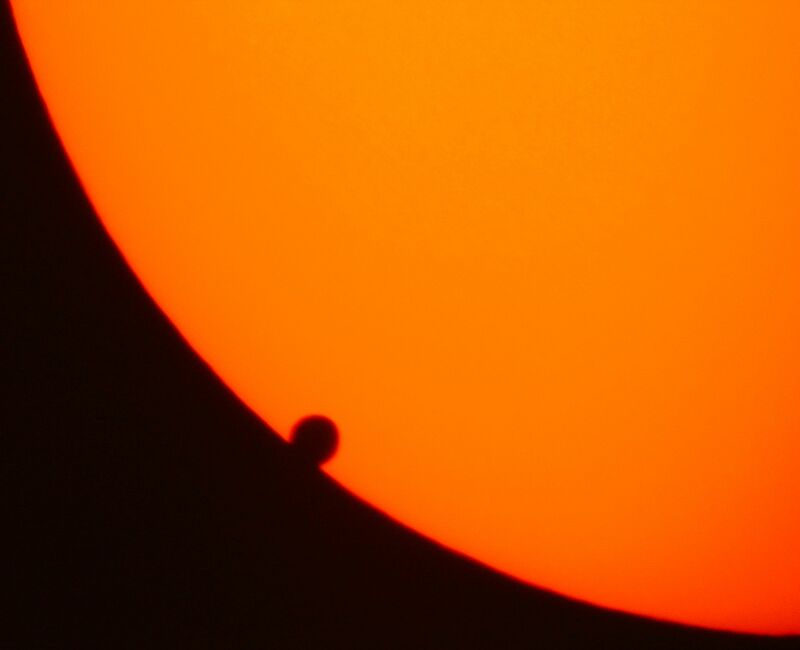 We hope you’ll try to see the transit when it happens, but if you’re unable to for some reason, then the webcast means that you can still be a part of this last-chance astronomical event. Today we have a guest post by Jules, fellow Planet Hunter and zooite who attended the ZooCon1. Jules is a lead moderator and blogger for the Solar Stormwatch and Moon Zoo forums as well as a volunteer on the Zooniverse Advisory Board. Just back from the very first #zoocon1 in Chicago. I attended as a volunteer on the Zooniverse Advisory Board. As Meg said it was a chance for the science teams from new projects to meet with and learn from representatives of current projects and for everybody to meet up with Zooniverse techies and developers. It made sense then for some of the “old hands” to present an overview of their own projects. Meg’s Planet Hunters talk was particularly interesting as it highlighted the value of Talk and the great collaborative work being done there by volunteers. A brief foray into data reduction showed the kind of work necessary to make the clicks usable. For example, there are 5,508 stars with possible transits. Removing all pulsating stars, which can be mistaken for transits, reduced the number of candidates to 3,404. 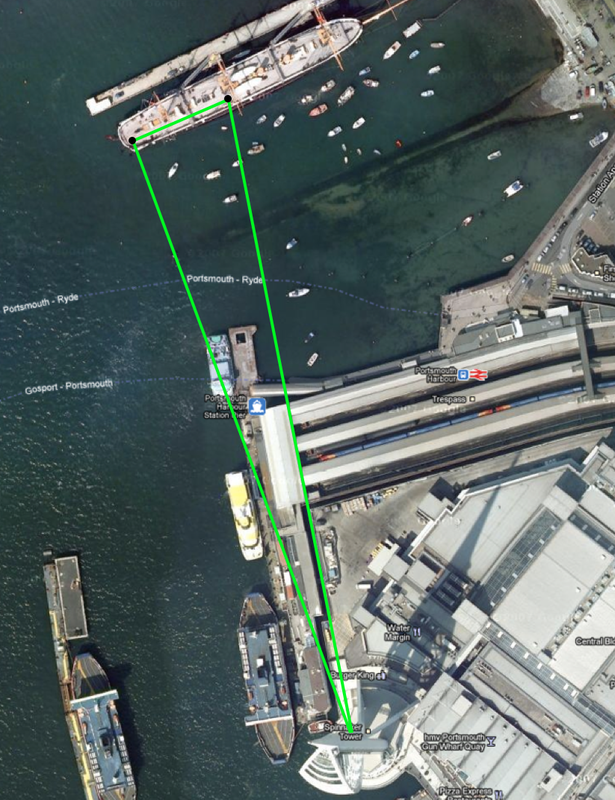 Further examination of these transits reduced the pool further to 77 transit candidates – a much more manageable number. Here’s Meg in action demonstrating the light curves of different sized planets. 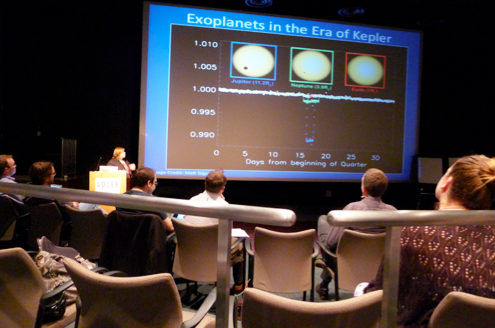 The discoveries Meg highlighted included a slide showing 4 planet candidates missed by Kepler one of which is being re-investigated because of the work done by Planet Hunters. Kepler 16, the circumbinary system, also got a mention as did the impressive volunteer-led analysis on cataclysmic variables and heartbeat stars. Well that’s Citizen Science for you. Volunteers come with a great mix of interests, skills and the knack of finding treasure!